The tale of an ex- cross country runner training for a half-marathon. Finals week is upon us, and by us I mean college students and their professors. Unfortunately the due date for this post coincides directly with finals week, so bear with me, I'll come back and edit this post once finals week is over (that is, of course, assuming it has an end). Onto a more upbeat topic--cookies. A couple weeks ago while perusing Love and Olive Oil, I found out about the Food Blogger Cookie Swap. One of the things I miss most about living in a dorm is cooking, so when the opportunity to force myself to bake came up, I took it. 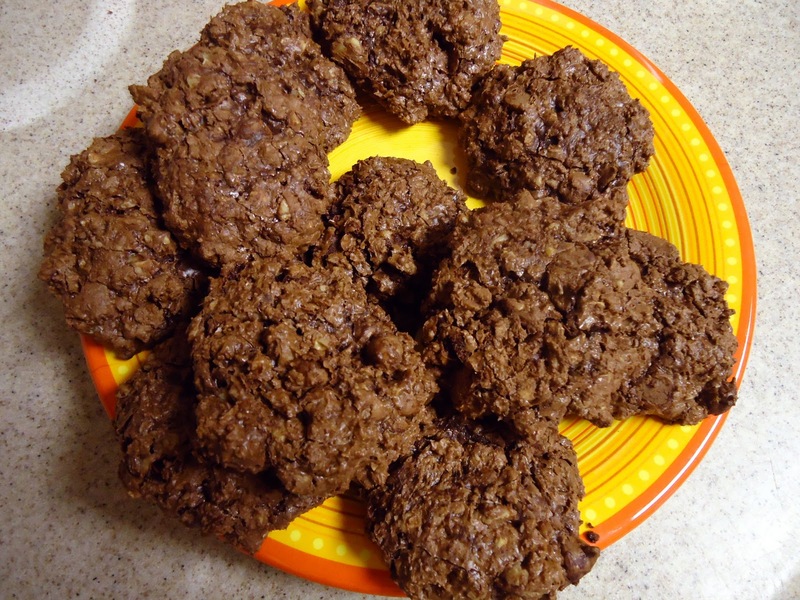 I needed to make a recipe that was gluten and corn free, as well as vegan, which narrowed it down to about one recipe: Chocolate Puddle Drop cookies, adapted from 101 Cookbooks. I had first heard of these through the Jules Clancy's cooking blog Stonesoup. 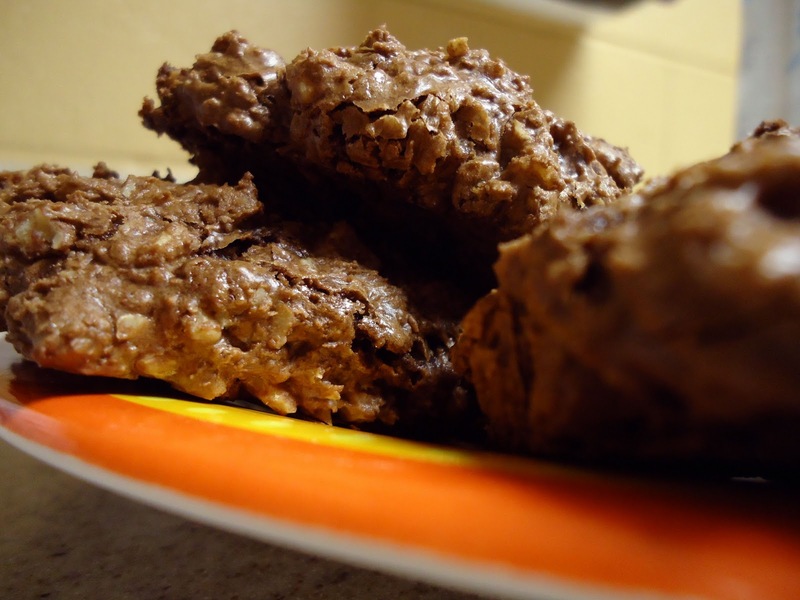 I've recommended her blog before, but I'll say it again, her blog is great for any other college students, or really anyone with limited cooking supplies and baking abilities. All of the recipes are 5 ingredients or less, use only a few dishes, and usually don't take too long to prepare, which are basically the three rules that govern cooking in a dorm. 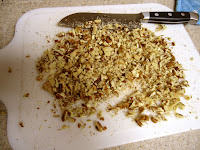 A lovely snapshot of the toasted nuts, right before I spent an hour and a half chopping all of them up. I highly recommend one of those handy slam-chopper things if you duplicate this recipe. Note the lovely set up of the dorm kitchen. I considered cropping the photo, but I think it gives a really accurate picture of dorm life. Note the makeshift cooking supplies, trash can filled with a variety of unmentionables, decorations straight from the 1950s, and the lone ramen noodle. I made 3 batches, two for the cookie swap and one for a class presentation on Internet cookies. I can't resist a good pun. The final product! They turned out pretty well. 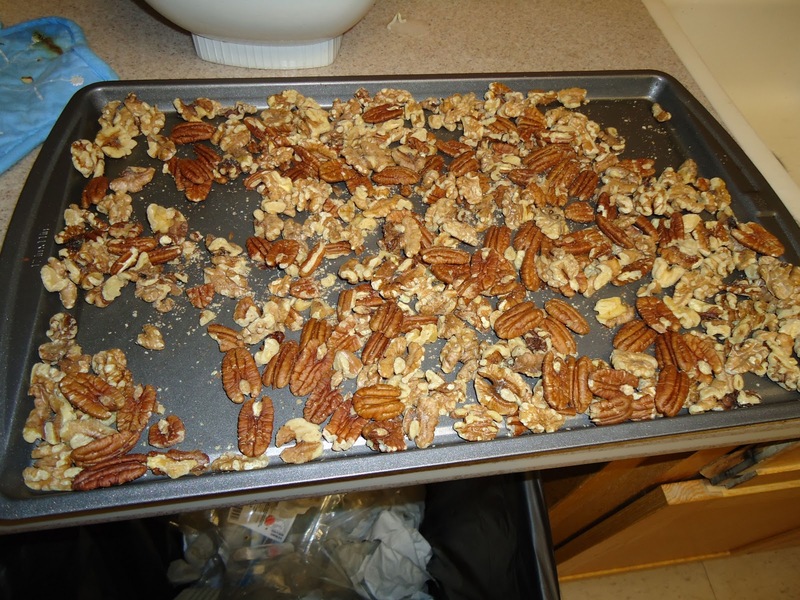 3 cups walnut and/or pecan halves, toasted & cooled. 2. 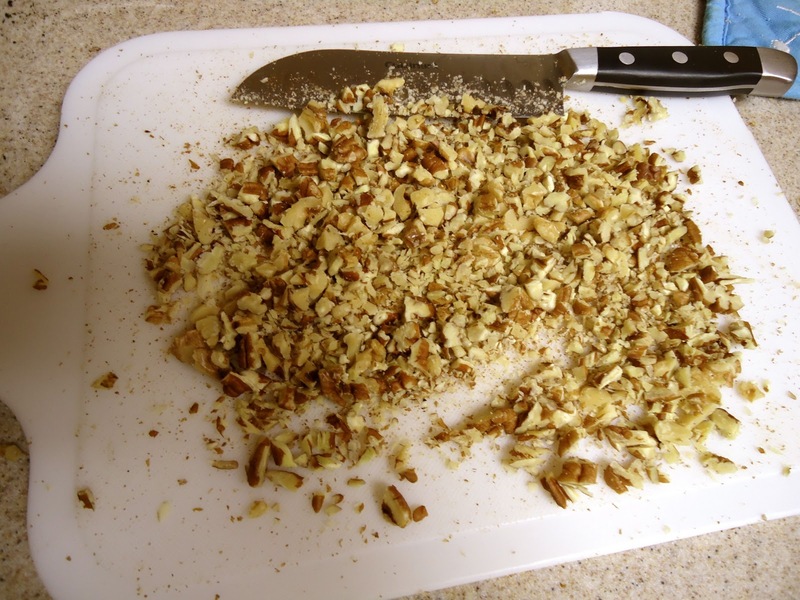 Line three cookie sheets with parchment paper or aluminum foil. But parchment paper is probably a better idea. 3. Toast those nuts. 425 for 10-15 minutes should do the trick. This probably goes without saying, but make sure they cool before chopping them up. I learned this the hard way as well. 5. Spoon the batter onto the cookie sheets in mounds of about 2 tablespoons each, The original recipe says: "Allow for PLENTY of room between cookies. These cookies are like reverse Shrinky Dinks - they really expand. 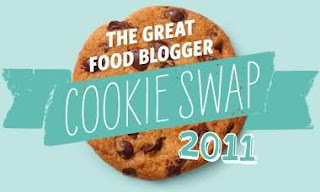 Don't try to get more than 6 cookies on each sheet, and try to avoid placing the batter too close to the edge of the pan." Mine didn't spread all that much (Again, this may have been because I used too many nuts), but they grew, a lot. Use way less dough than you think you need per cookie. 6. Bake them until you see cracks on the surface, a little over 10 minutes. 7. Ignore the fact that they really do resemble baked mud, eat & enjoy. Love these "Puddle" Drops! Yum!